On Tuesday 16th February the Cabinet in the Community meets at Victoria Methodist Church at 6.30pm. This is your opportunity to raise issues with your local councillors. Please come and make your voice heard. Manor Castle Greens will be there and we will be raising various issues. 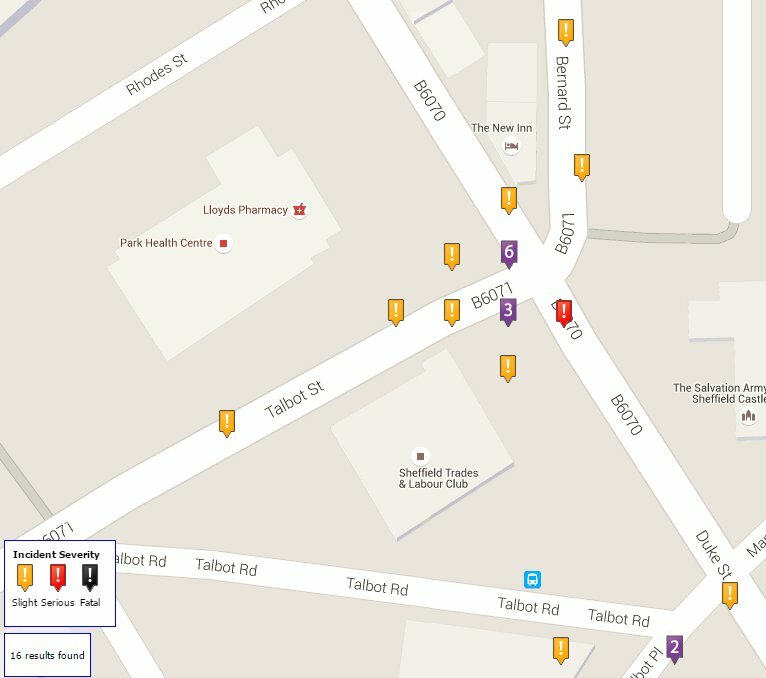 Graham Wroe will be presenting a further petition of 206 names to add to the previous p etition of 156 people, pleading for a crossing at the dangerous Duke Street/Bernard Street/Talbot Street junction. There was another accident here recently. 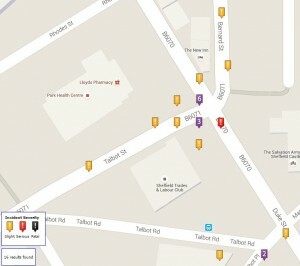 The map, from crashmap, shows the accidents over the last 10 years. Brian Holmshaw will be asking the following question about Assets of Community Value, a way other cities are saving pubs and significant buildings from redevelopment. Sheffield has two Assets of Community Value (ACVs). Leeds has dozens as do Manchester, Bradford, Newcastle, Nottingham, Derby and many other northern towns. (a) Is there a policy of refusing to accept ACVs in Sheffield, and if not why have so few of those being put forward as ACVs been accepted? (b) What is the cabinet going to do to improve this situation and defend Sheffield’s community buildings from, firstly, unsympathetic developers and; secondly, financial pressure to sell off its own council owned buildings. 1. 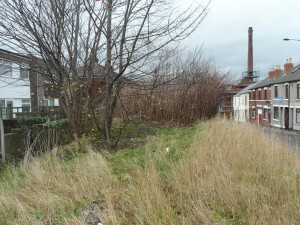 There is a big clump of Japanese Knotweed near the path that goes up the hill to Skye Edge from Fitzwalter Road. Why haven’t the Council treated this? 2. There is another clump of Japanese Knotweed on the small piece of unallocated land between the houses on Glencoe Drive and Duke Street. The Council have refused to treat this as the land does not belong to them. Don’t the Council have a responsibility to act in such cases to stop knotweed spreading further? 3.When are the Council going to act to give residential streets in our area a 20mph speed limit? 4. Many of the trees on Tylney Road, Seabrook Road and Donnington Road are disrupting the pavement. They are therefore likely to be felled by Amey under the Streets Ahead project, because of the Council’s 6 d’s policy. 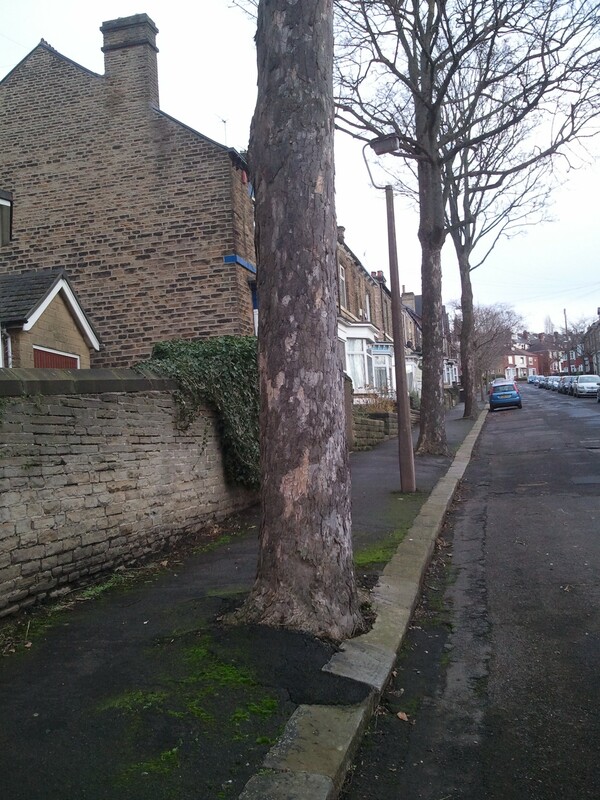 However tree campaigners have pointed out that there are other methods such as flexi-pave that can both save the tree and make the pavement smooth enough for wheelchair users. Why aren’t the Council valuing our mature trees that improve our air quality, provide wildlife habitat, reduce the risk of flooding, give us shade in hot weather, shelter in windy weather and greatly improve our environment? 5. 500 people die in Sheffield each year due to poor air quality. What measures are the Council taking to improve air quality in our area? Please come along to the meeting and have your say. The Council cancelled this meeting giving just 3 hours notice. Not sure why. But they have promised to answer all our questions so I will keep you posted.